O’Connor is becoming a name to be known here in Franklin County. Danny recently became a partner at Weis + O’Connor, a law firm dedicated to progressive values and issues. The firm focuses on start-up business law, family law, campaign finance law, and criminal law — but Danny’s dedication to progressive values doesn’t end after office hours. Danny also volunteers as a legal counsel for the Voter Protection Center through the Ohio Democratic Party during election seasons. He is committed to getting Democrats elected, which is also why he has hosted fundraisers for Ed FitzGerald for Governor and John Carney for Auditor of State at his home in Clintonville. Danny also serves as the Franklin County Young Democrats Treasurer, focusing on building financial infrastructure for young Democrats. Check out Danny’s law firm at www.woclaw.com and like their page on Facebook. Franklin County Young Democrats member, Ryan Schick, has a new job that will do big things for Columbus. 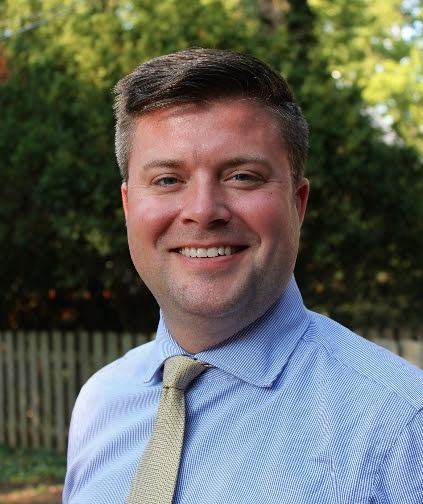 Ryan has been chosen as the new Assistant Director of Building and Zoning Services at City of Columbus. In this role, he will “help entrepreneurs negotiate city red tape in order to launch new businesses [that] could have a beneficial effect on local employment and tax revenue,” according to The Columbus Dispatch. The FCYDems are honored to have Ryan as a member and look forward to businesses coming alive thanks to his work at the city. Know a Franklin County Young Dem that should be highlighted in next month’s Member Spotlight? Email your nomination to Brooke Wojdynski, Communications Director at communications@fcydems.com.